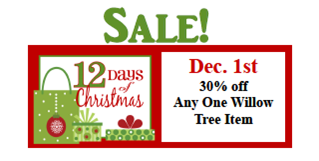 Join us tomorrow as our 12 Days of Christmas Promotion begins. 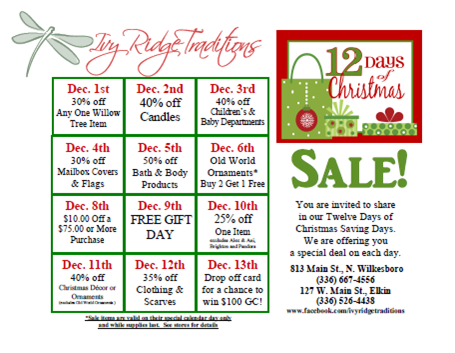 We will our 12 Days of Christmas the day before the actual promotion to allow time for you to plan ahead to stop by either of our Ivy Ridge Traditions locations. Please note that each promotion is for that particular calendar only. 12 Days of Christmas Promotion is Back! We are excited about our Black Friday Bucks. 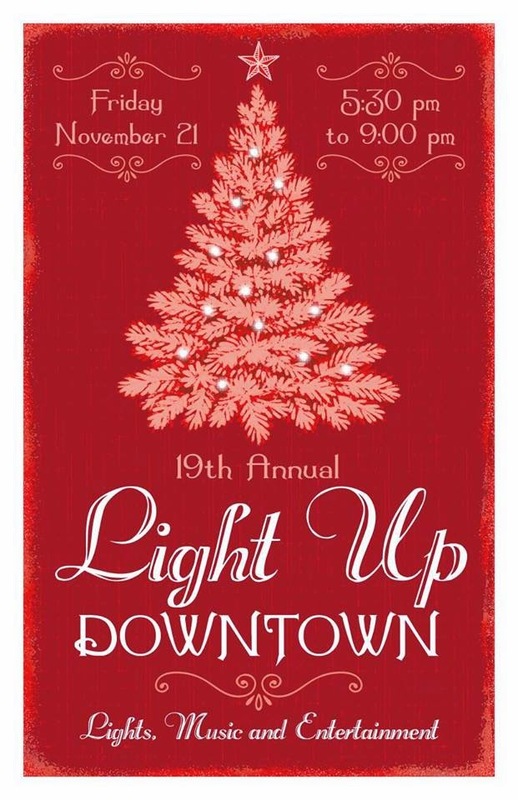 Receive a $10.00 Gift Certificate for every $100 you spend on Friday, November 28th. You can also received TWO FREE BAGS with a $125.00 Vera Bradley purchase of $125 non -sale Vera Bradley. If Alex and Ani is on your shopping list, you must stop by, because it is 15% Off. purchase of $100 or more! purchase of $125 or more. and get the second at 1/2 price. Our Black Friday Pandora Charm is VERY limited this year! Be sure to shop early on Black Friday if you are a collector of limited-edition Pandora charms. 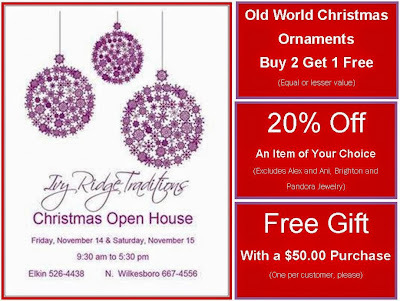 Available at the North Wilkesboro shop, while supplies last. Our North Wilkesboro Shop will be open until 9:00 pm that night, so please stop by!